Lactuca pulchella of Michigan Flora. A large-headed species ranging mostly northwest of the Great Lakes. Apparently native on ridges at Isle Royale (Keweenaw Co.) but a rare adventive in disturbed sites elsewhere. MICHIGAN FLORA ONLINE. A. A. Reznicek, E. G. Voss, & B. S. Walters. February 2011. University of Michigan. Web. 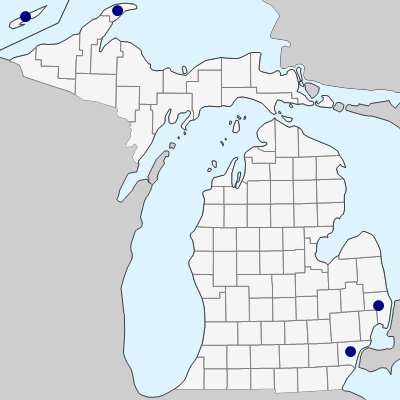 April 21, 2019. https://michiganflora.net/species.aspx?id=409.